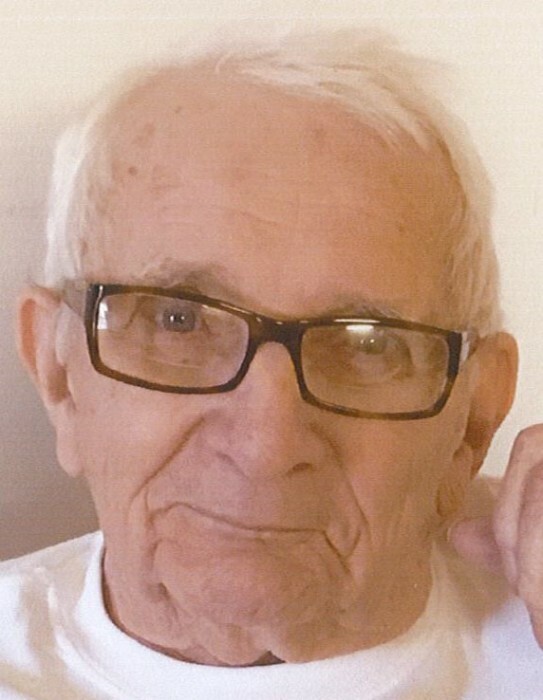 Obituary for Charles A. MUMBAUER | C. R. Strunk Funeral Home, Inc.
Charles A. Mumbauer, 91, of Quakertown died Tuesday, September 4, 2018 in Quakertown Center. He was the husband of the late Grace E. (Miller) Mumbauer. Born in Zionsville, Lehigh County, he was the son of the late Nathaniel and Minnie (Gehris) Mumbauer. Charles worked in the metal department at Knoll Inc., for 24 years retiring in 1988, following his retirement he began working at Weis Markets in Pennsburg retiring again in 2011 after 22 years of service. He enjoyed the outdoors and staying active and physically fit. He was a member of Trinity (Great Swamp) U.C.C. in Spinnerstown. He is survived by daughters Grace Fegley (David), Rev. Lorraine Sell (Stanley), Karen Mumbauer (Rich Miller), Linda Tomlinson (Stephen), and a son James. 10 grandchildren David, Lee, Jen, Angela, Darren, Mark, Joseph, Teresa, Andrew, and Becki. 19 great grandchildren, and 6 step great grandchildren. Predeceased by a son Kenneth Charles, two sisters Joyce Haas, Edna Krauss, a granddaughter Tricia Fegley and a great grandson Joseph Schwartz, Jr. Services will be held on Friday, September 7, 2018 at 11:00 A.M. at Trinity (Great Swamp) U.C.C. 9150 Spinnerstown Rd. Spinnerstown, PA 18968. Call 10:00-11:00 A.M. in the church. Arrangements are in the care of the C. R. Strunk Funeral Home, Inc. (www.crstrunk.com) Quakertown. In lieu of flowers memorial contributions can be made to Trinity (Great Swamp) U.C.C. P.O. Box 494 Spinnerstown, PA 18968.